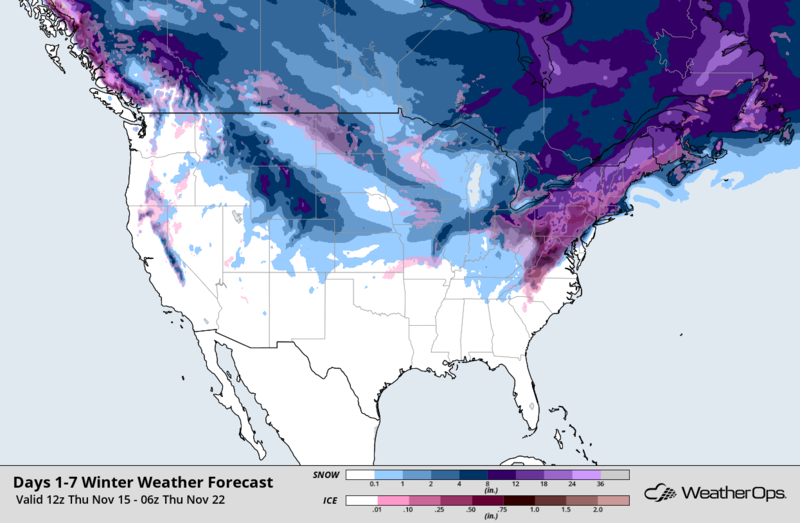 Winter seems to have arrived early for those in the Appalachians and East Coast. Residents in the area have been dealing with all types of frozen precipitation today. Snow, freezing rain, snow pellets, and sleet have all been reported and are playing havoc with travel conditions. The WeatherOps Winter Weather Forecast shows multiple inches of snow along with ice falling across the northeast over the upcoming week. 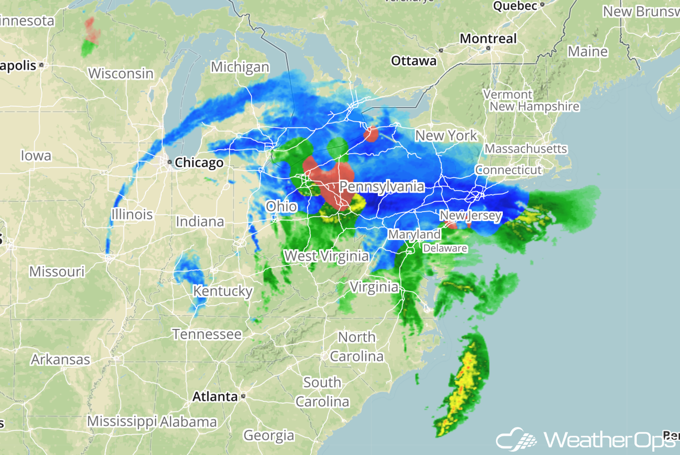 Mosaic radar, as seen on WeatherOps Commander shows rain (green), snow (blue), and ice (pink) stretching from Illinois to Delaware. Freezing rain has led to over 80,000 being without power in the Cincinnati area. 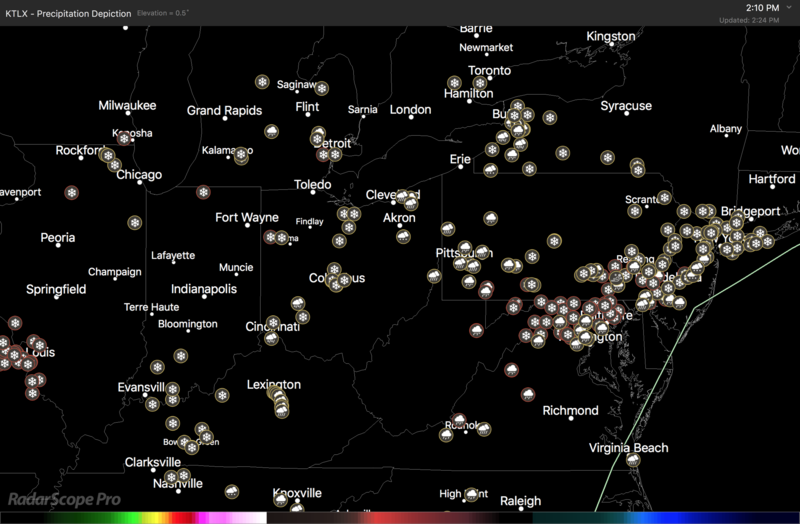 Viewing RadarScope, you can see the mPING reports across the region showing all types of winter weather. Those traveling in these areas can expect slow traffic on their way to and from work. Plan accordingly on Friday for a longer commute.